Dr. Myo is the founder of Arizona Hand to Shoulder, PLLC, an affiliate of Arizona State Orthopaedics, LLC. Chicago where he doubled majored in Biochemistry and Biological Sciences. Dr. Myo recieved his Doctorate of Medicine (M.D.) from Northwestern University in Chicago, IL. After completing his formal training in general orthopaedics in New York City, Dr. Myo completed an additional year of fellowship in the diagnosis and surgical care of hand surgery under Dr. Robert M. Szabo at the University of California, Davis. Dr. Robert M. Szabo, the current president of the American Society for Surgery of the Hand, emphasized an individualized treatment for each patient and their hand complaints. 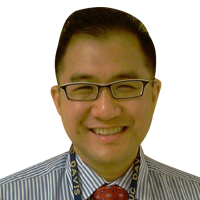 At the University of California, Davis, Davis, Dr. Myo received the annual research award for his work both in hand fractures and wrist arthroscopy. Dr. Myo is published in the Journal of Hand Surgery, the pre-eminent hand surgery periodical and has given numerous talks at national meetings and at community functions. While Dr. Myo is a native of the east coast he is thoroughly enjoying all the outdoor opportunities that Phoenix and Arizona offer and is a big fan of all of Arizona’s college and sports teams.